Comment: Hanetration, the London-based combo is back again with brand new issue Waldsterben (as much as I have learned German and already forgot much of it this probably does mean “death (process) of the forest” which has been a very serious problem in Germanic countries while the civilization has been established for long ago. Indeed, where is the right for human being to annihilate something which is being highly blissful enough to elevate our souls? Indeed, as Elias Canetti has wrote once the forest is a cathedral replete with trees like pillars towering and constituting something very special. By my opinion, the forest is an environment where the human being can feel himself/herself to be a part of the Divine plan. By listening to Waldsterben one might say the project is dead aesthetically. Indeed, the suicide is being committed to get a chance to resurrect again. Their previous album Acid Reflux EP was a gorgeous drift between post-industrial tendencies, drone music and chamber music touch. This time Hanetration`s brand new one chimes like a poppy yet alternative music bound one saturated with catchy rhythms and having a more superficial appeal. Only the ending piece Aurora is something about the project`s previous tradition taking on buried rhythms and ominous drones while providing incessantly minimal changes throughout the course. 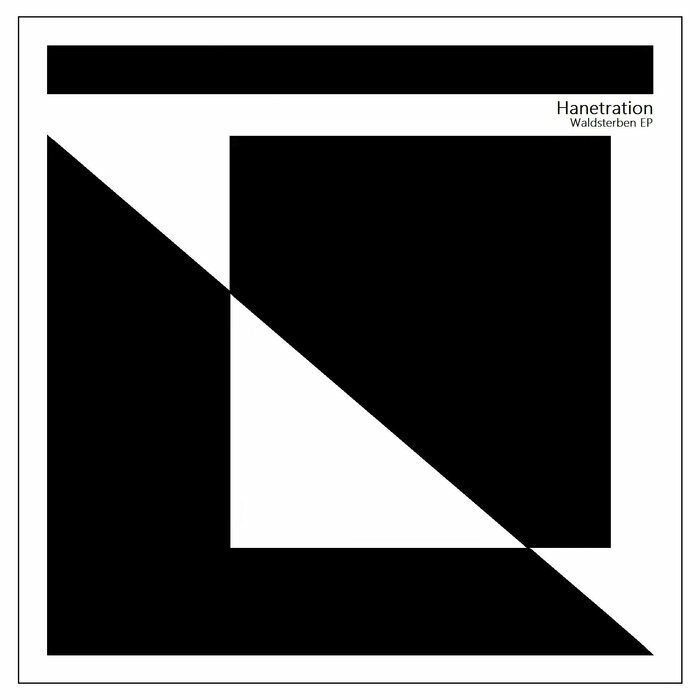 Friction is an example of how Hanetration has bent its course into a fabulous droning acid rock template while ringing truly majestic due to cathedral organ sounds above. Impulse is something which obviously gets inspiration from motorik/krautrock tradition because of coming together at a junction of an iterative bass chord and slightly buried drum sounds thereby most notably reminding of NEU!`s trademark. In a word, it might be it is the transmissive/opposite issue by the project, however, trying to understand the artist`s intention one should perceive the artist`s discography similarly to a meandering pathway of being comprised of bigger and smaller curves and dodges and incorporations. In the absolute scale of sonic creation, however, it is an outstanding issue for sure.